Can We Get Anywhere Without Thought? - What Is Dialogue? Can We Get Anywhere Without Thought? Everyday we think, hear and talk about thought in some form or another, after all, our world is built upon our thoughts. We travel over roads, rails and bridges designed and built from thoughts and let’s not forget about flying through the air in an aircraft whose very existence birthed itself from the fertile imaginations of thinkers. Right? Thoughts are the pillars that prop up the worlds economies, keep wars raging for decades and dream of new and unusual ideas to fix all that thought has broken on our little blue marble of a world spinning wildly in a corner of a galaxy named The Milky Way, a name created by thought. David Bohm spent years traveling around the corners of the world talking about how thought is behind everything good and bad that is taking place in the world, he also talked about how thought builds upon thought and only slowing and becoming aware of thought is there hope to get control of it. I’m not sure if Bohm would approve of my use of the word control but I think it’s important as a marker in our quest to understand thought. Once we better understand the power of thought better we may be able to jettison any thought of control. What do you think? David Bohm was an American physicist and friend with Einstein, and was deeply involved in Quantum Theory. 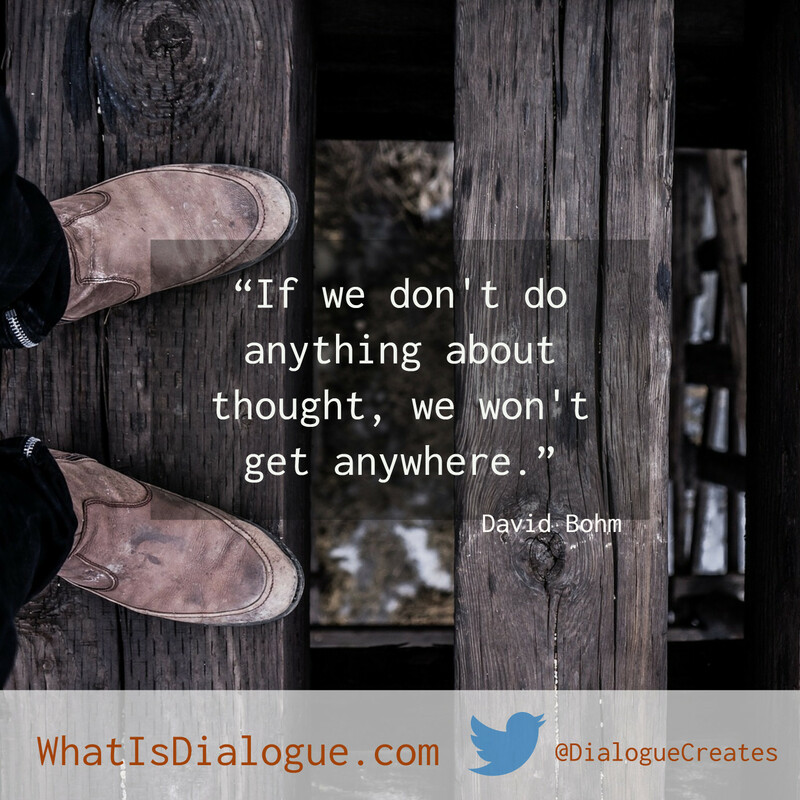 Bohm actively traveled throughout the world sharing his thinking on Dialogue and Thoughts themselves. that thought is not Proprioceptive."